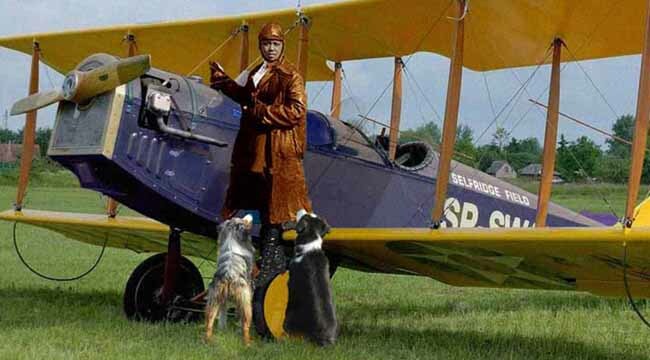 Bessie Coleman on Crosscurrents, 1/26 – Doggedly Yours… Howling, Humor, and History. The first African American woman with a pilot license displayed her aviation skills at airshows while she dreamed of founding a flight school for woman – Bessie Coleman was born on this day in 1892. Gavin and Wyatt hope to go “barnstorming” with Bessie Coleman as she poses on the wheel of her Curtiss JN-4 biplane. You can “soar into the air” as John “broadcasts on the air” to celebrate Bessie Coleman by listening to Crosscurrents, 1/26 at 8 a.m.